The finish on this marble floor had become dull and the stone lacked the clarity and elegance it had when it was first installed. First we honed the marble using special diamond pads to remove a very thin upper layer of the stone. This basically erased the scuffs, scratches, and other damage. We followed this with our marble floor polishing process, which gave the floor the beautiful, glass-like shine you see in this image. 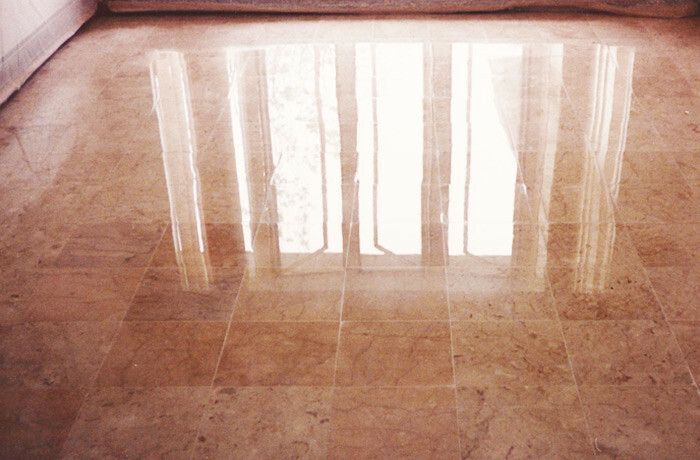 Do you need marble floor polishing services in the Philadelphia or Delaware Valley area? Use our online contact form or call (610) 356-4100 today for a FREE estimate.